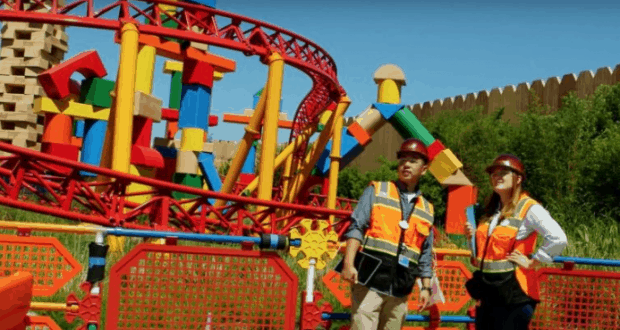 This video comes to us from the Toy Story Land site. In this video, Imagineers Ryan Wineinger, Shannon Mashchak and Alexis Cummins share just how many distinct areas there are within Walt Disney Imagineering. There are areas like Show, Project Management and Graphics, which are all involved in creating Toy Story Land. There are a variety of graphics that have been added throughout the land to bring it to life with even more realism. One of the Imagineers favorite graphics is the box for Wheezy that guests will pass in the queue for Slinky Dog Dash. “My favorite thing about it is it really does give you more information about where Wheezy came from, how long Andy’s had him and it’s just a great graphic,” Alexis said. Who else is counting down with us until Toy Story Land finally opens?